This course is for anyone considering or actively working on a distributed cloud application. It is designed to provide you with a thorough understanding of these concepts, the various pros and cons of specific technologies, and the resilient patterns that are heavily used by distributed cloud applications. edX.org (with supplemental reading materials, review questions, and hands-on labs). You can also get a verified certificate (to show employers) for $99. 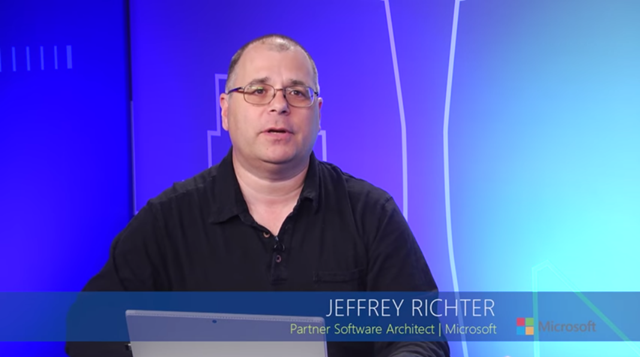 Jeffrey Richter is a Software Architect on Microsoft’s Azure team. He is also a co-founder of Wintellect, a software consulting and training company. He has authored many videos available on WintellectNOW, has spoken at many industry conferences, and is the author of several best-selling Windows and .NET Framework programming books.